Many fleet managers talk about ‘sweating their assets’ – making their commercial fleet earn its crust. Downtime is a dirty word and the idea of ‘one man one van’ is inconceivable on busy fleets. But not everybody agrees. “Having ‘one man one van’ sounds expensive, but it’s actually very efficient,” says Tim Hartles, national fleet manager for the RAC, one of the country’s biggest breakdown operators. In fact, on the side of every distinctive, orange-liveried van is proudly displayed the driver’s name and years of service. “They take an immense amount of pride in their vehicles and yes, perhaps uniquely, they can do maintenance on them as well,” says Hartles. It allows the RAC to run a very lean fleet, with only eight spare vehicles available at any one time, a ratio of 1:188 on a 1,500-strong fleet. “Van availability is currently running at 99%,” he says. 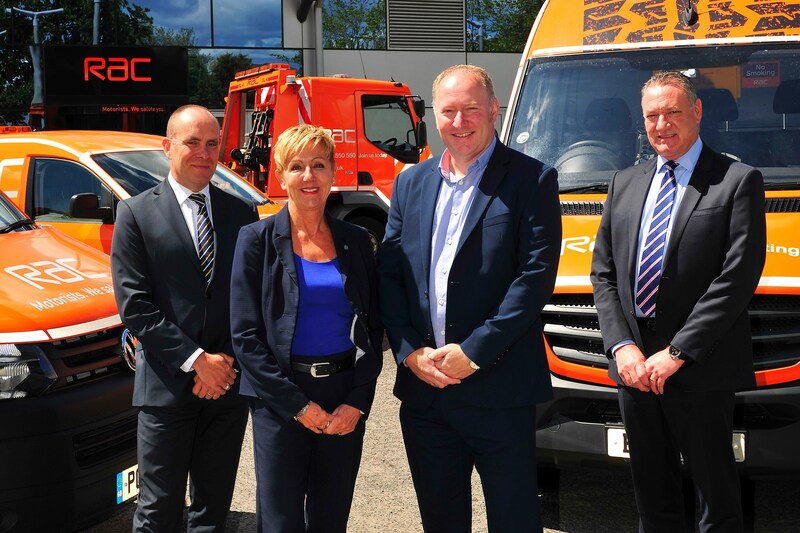 Because the RAC runs its commercial vehicles on a five-year/125,000-mile replacement cycle with such diligence, it ensures there are no nasty surprises at de-fleet time. “They’re a leasing company’s dream,” says Jenny Powley, the RAC’s sales director for corporate partnerships. The fleet of 1,500 commercial vehicles and 200 company cars is operated via leasing arrangements with Lex Autolease and Hitachi Capital Vehicle Solutions. Its commercial fleet is predominantly made up of large panel vans, but also includes a fleet of 75 smaller Volkswagen Caddy vans – a relatively new development for the RAC. Patrols are managed by patrol managers, who also spend 40% of their time on patrol. 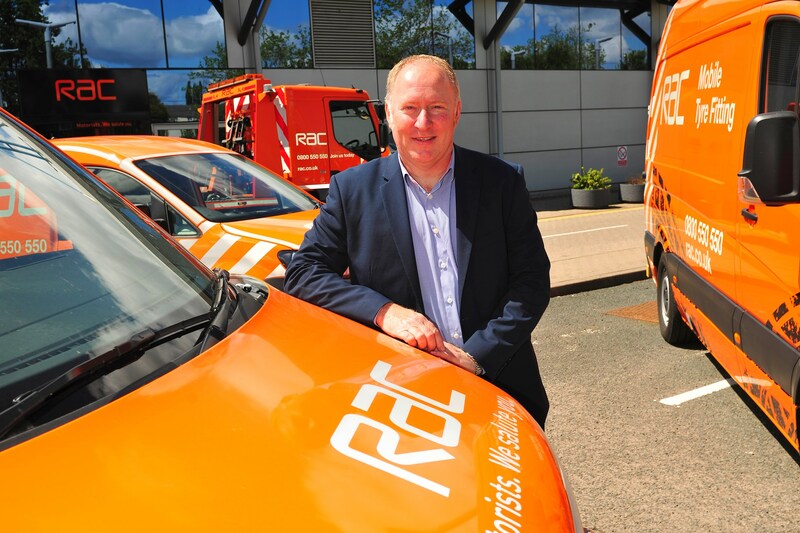 Headquartered in Birmingham, with about 4,000 employees, the RAC operates from three bases, offering vehicle and breakdown services through its nationwide patrol force. It’s one of Britain’s busiest fleets – its 1,500 oficers patrol force attended about 2.3 million breakdowns last year – which raises the question: how does it ensure vehicles and drivers are available when required? Phil Ryan, technical director at the RAC, explains: “We operate a system called demand-led resourcing, which is based on historical data. “Our busiest day is the return to work after the Christmas holidays and therefore resources are allocated in that pattern annually. However, taking that data-driven approach means they are expected to work around 30 weekends a year and 50% of all bank holidays. A Wednesday might see about 800 patrols out on the roads, while a Monday after a half-term requires a fleet of 1,200 vehicles. Historical data also allows patrols to be positioned where they can respond as quickly as possible to the greatest number of breakdowns – so-called blue points. It is based on a system pioneered by the New York Police Department and is something the RAC has perfected over the past 13 years. 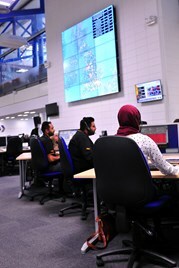 Scores of call handlers in a buzzing control room use the latest number-crunching technology to direct patrols to their next emergency. However, while analysis of historical data helps to deploy vehicles, it is also helping them to perform within their payload limits. “We use data to make sure we’ve got the right kit on board,” says Hartles. The RAC has identified breakdown trends according to certain vehicle makes and models, on a region-by-region basis. While it is reluctant to share specific details, the data does help RAC patrols to stock their vehicles with the most relevant parts for their particular area. “It’s always good to have ‘just in case items’, but that adds to your weight, and if you add weight you lose your towing capacity,” says Hartles. Dedicated, specialist vehicles are also assigned to solve specific problems. The RAC operates 27 fuel-drain vans and 10 tyre-fitting vans, for example. The diverse fleet gives it the capability to do more at the roadside and the tyre-fitting fleet, in particular, is expected to grow, thanks to so many new cars not having a spare wheel. 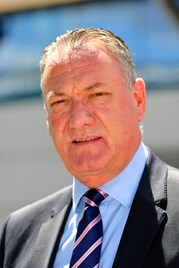 Meanwhile, its HGV fleet – 46 out of 49 heavy commercial vehicles – is due for renewal next year. “We are working very closely with manufacturers to make sure we get the best vehicle,” says Hartles. 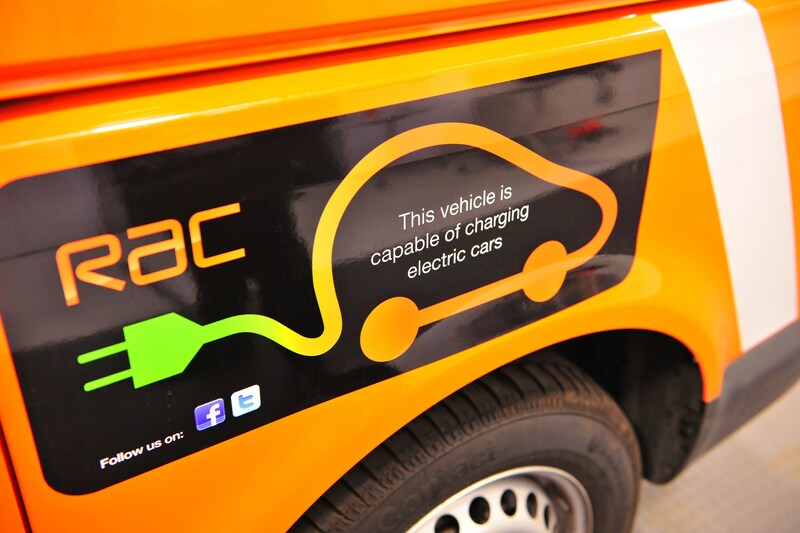 Fuel efficiency is a major cost priority for the RAC, as is its carbon footprint. All vehicles are currently Euro 5 and Hartles has concerns about Euro 6. “We run quite a clean and efficient fleet now. Next year, it’s going to look even better,” he says. 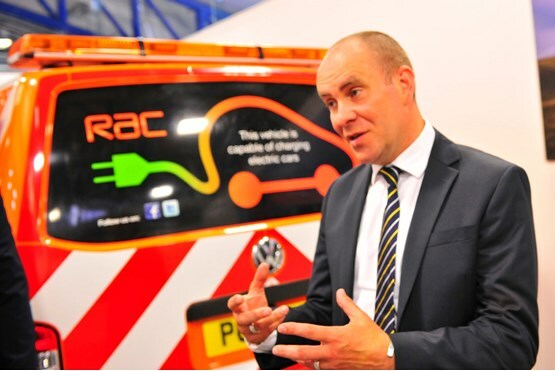 The RAC has not shied away from innovation in recent years. It has saved £1.5m on fuel over the past three years thanks, in part, to the adoption of a telematics system it developed in-house. That’s a 5% saving on a £10m-a-year diesel bill, which is especially impressive when its vans face a range of journeys and are sometimes forced to tow broken-down vehicles. It has also paved the way for a reduction in fleet size of some 100 vehicles and seen speeding events fall by a quarter (25%). The telematics data on speed and braking when vehicles have been involved in accidents have also proved invaluable. “We’ve been able to prove our drivers were not at fault, which helps speed up insurance claims and keep our costs down,” says Hartles. The RAC’s decision to develop its own telematics system, now being sold to other fleets, was borne out of a change of ownership, according to Ryan. The Carlyle Group bought the business in 2011 from Aviva. “Their strategy was to develop alternative motoring-related businesses, and at the same time Tim and I were scratching our heads thinking ‘how do we make our fleet more efficient?’,” says Ryan. Prior to that, the RAC had piloted a handful of other devices, but in developing its own system it was able to tailor it to its needs. It wanted drivers, as well as fleet managers, to have access to the data, so they receive an update every 30 minutes via an in-cab screen. Scores are given against three key parameters – acceleration, braking and idling. Hartles gets a holistic view of the fleet, while each layer of management between the driver and the senior team has data collated according to their own particular needs. Line managers hold a monthly review with drivers and talk them through their driving scores, together with any other performance measures. “It’s a very simple device, which gives us very good data to allow us to manage our patrols effectively and efficiently,” says Hartles. Alerts can be tailored according to the fleet’s requirements, according to David Wallace, business services director at the RAC. “It can provide data on fuel economy, alert drivers when services are due and diverts drivers to the leasing company’s preferred network, ensuring control over service, quality and price,” he says. The system also sends an alert when a driver has been involved in an accident. 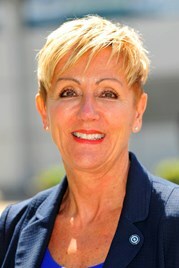 Powley says: “We know about the big accidents – they get reported – but it’s the small ones that you don’t hear about until end of contract and then you end up having a difficult discussion. Hartles has two objectives: provide an efficient fleet and make it safer. “This duty of care piece gets missed by a lot of fleet managers,” he says. “It’s really difficult to manage, but with telematics you can start driving down accidents and cutting the number of speeding offences. Founded in 1897, the RAC introduced uniformed patrols in 1901 and roadside emergency telephone boxes in 1912.
retractable rapid deployment trailer which is stored in the back of all its patrol vans. Keeping pace with increasingly complex vehicles, all RAC patrols are also equipped with the latest mobile diagnostic equipment called RAC Scan+. It enables the RAC to quickly identify faults that would otherwise have to be dealt with by a garage. 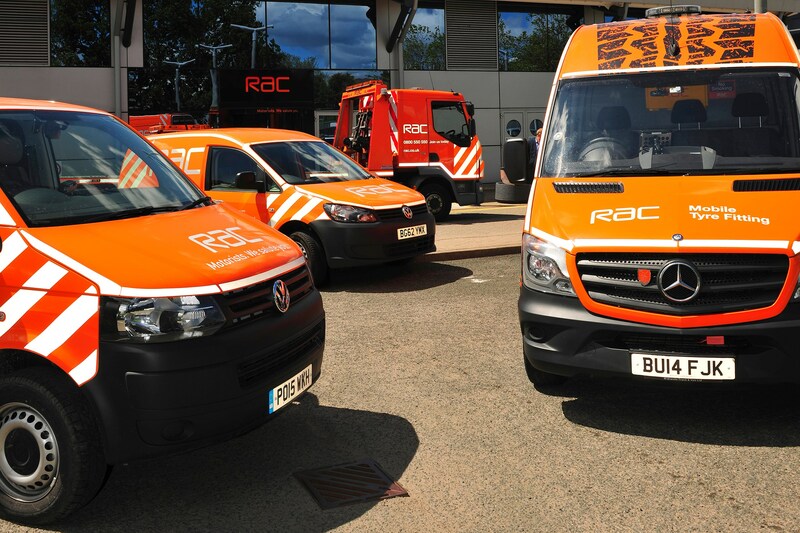 In fact, every RAC van carries more than 500 parts and tools, which patrols use to get customers’ vehicles going again as quickly as possible. It’s also very proud of its record of repairing four out of five vehicles at the roadside. The RAC has six million corporate members, more than two million private members and it attended 2.3m breakdowns in 2014.